Sam Sardina is a country-pop acoustic singer/songwriter that performs original and cover songs. She released her first seven track EP in the summer of 2016 with influences tracing back to Taylor Swift, Maren Morris, and Kelsea Ballerini. Although Sam just started performing publicly in 2015, she has been playing guitar since she taught herself on YouTube at age 15. Connor Brennan – is a prolific writer and performer. A multi-instrumentalist who draws inspiration from people who enjoy his music. Connor is amazing at improvisational writing, in his last Songwriters Circle performance he performed a song written that day! The North Code is a Madison-based indie folk band formed by members Josh Pankratz, Adam Prinsen, and Craig Hoffmann. 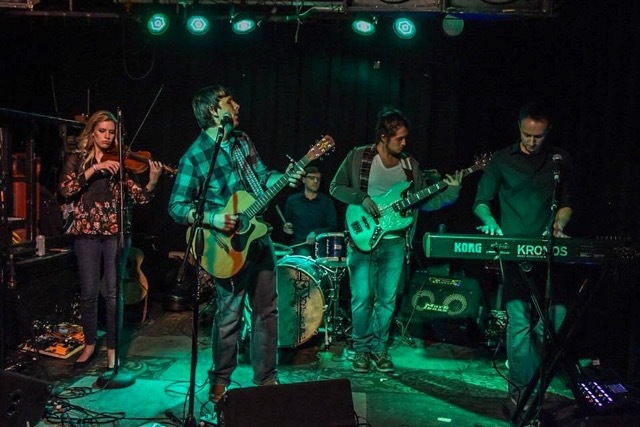 After competing in Madison's 105.5 Triple M Project M song-writing competition in the Spring of 2017, the band added members Ellen Judd on violin and Ben Strohbeen on bass. The North Code is set to release its debut EP in March of this year.